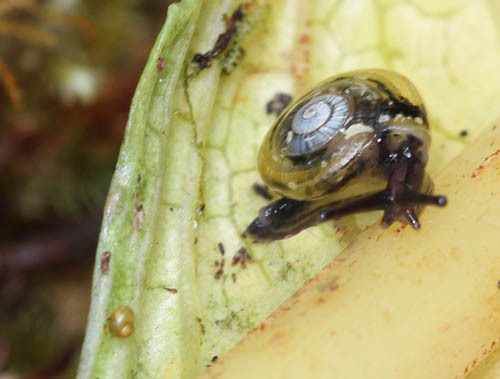 I saw Philoneisa and Elasmias snails in the native forests on the slopes of Mount Kaʻala. 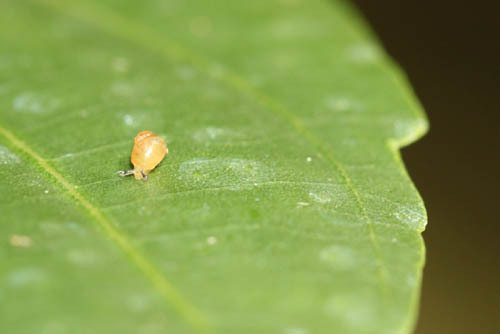 Known as pupu kuahiwi — literally “mountain shell” — in Hawaiian, the snails live in the native forests and are arboreal. Philonesia snails are about a quarter inch in diameter and their shells have a distinctive reflective surface. Philonesia is a genus of air-breathing land snails or semislugs, in the family Helicarionidae. 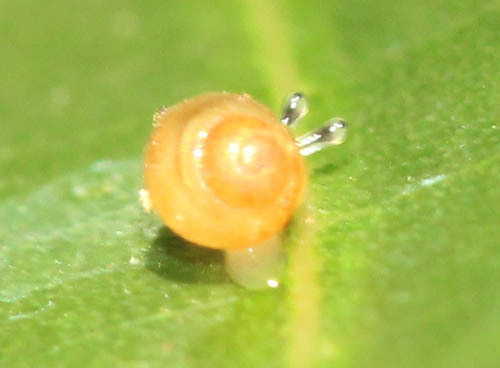 Philonesia snails are endemic to the Hawaiian Islands. 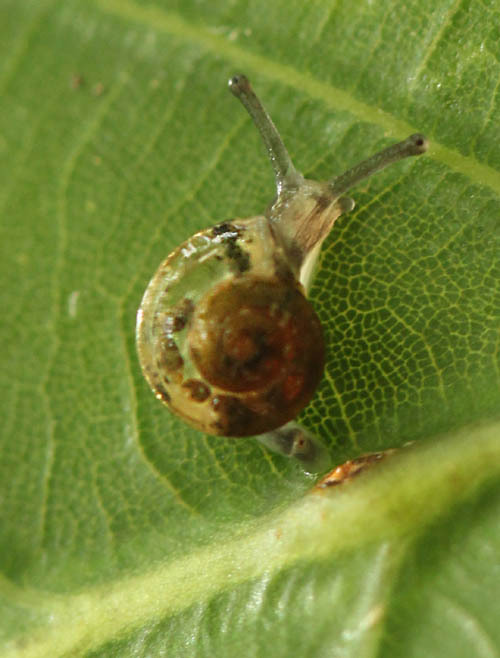 Look at the edge of the leaf — a tiny elasmius snail hides under the lip of the curled edge. Sometimes parts of the shell and animal are transparent and you can actually see the innards of the mollusk. Look at the bottom right corner to see a tiny elasmias snail crawling about. 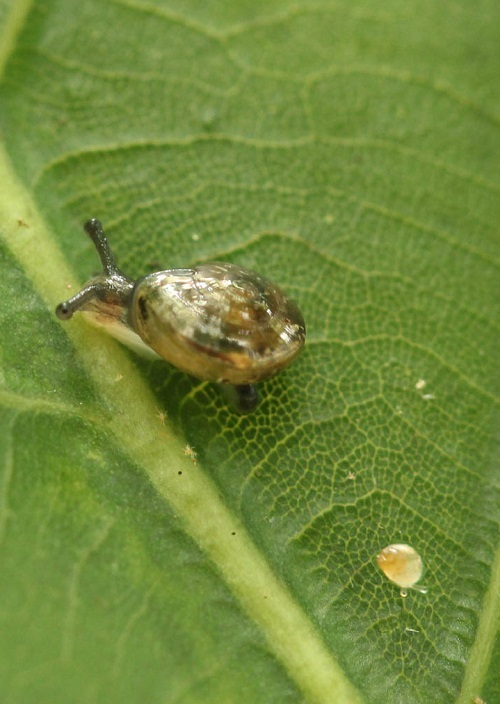 Elasmias is a genus of tropical tree-living air-breathing land snails in the family Achatinellidae. 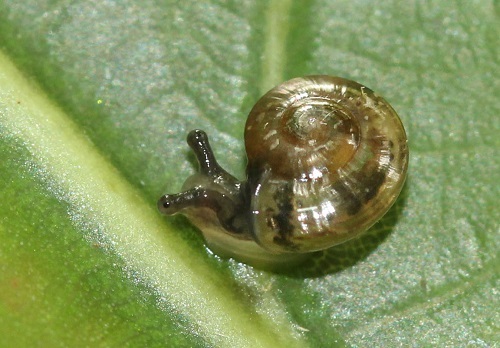 Elasmias snails are endemic to the Hawaiian Islands. 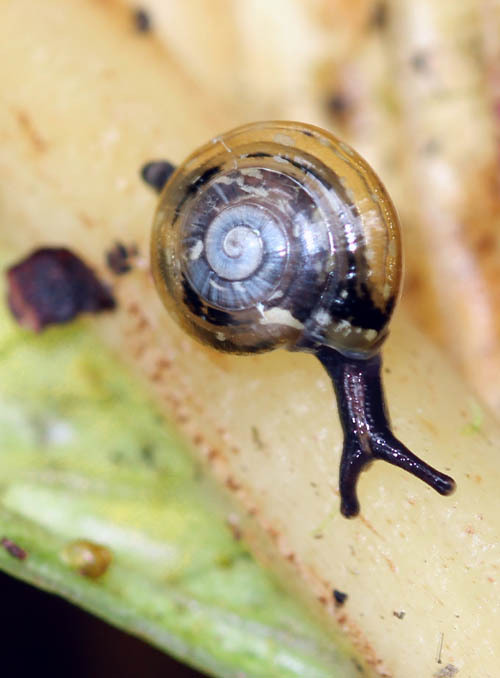 Elasmias snails are miniscule — their shells are 2 millimeters long — and are a difficult to see.